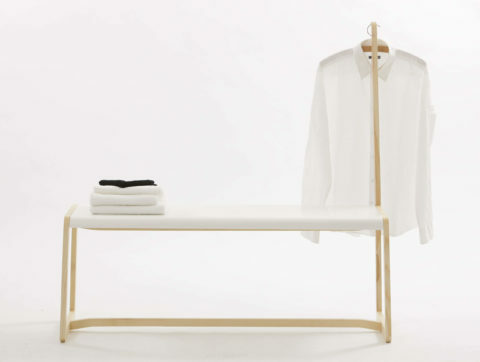 With deceptively simple forms and stark contrasts using solid wood and white surfaces, Jannis Ellenberger’s work is an exception from that of many other German designers, earning him the ‘if product design award’ for his free-standing sink, which stands at the centre of his own delightful and inimitable private space collection. 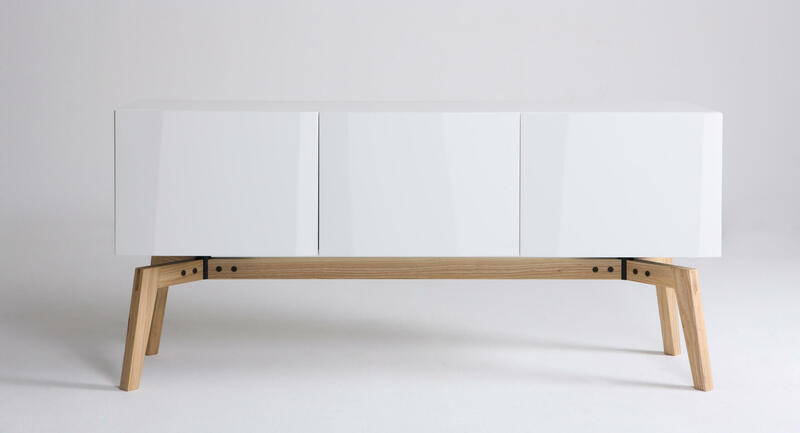 Using his accumulated knowledge to create contemporary classics, Bremen-based ellenbergerdesign is behind some of the most distinctive and meaningful products within Europe as he strives to make products in the studio in which form and function compose a harmonious whole. Separating ellenbergerdesign into two strands (his own Private Space Collection and the contracted work), Jannis Ellenberger explains how the commissions “can be really quite varied.” Required to apply his expertise as a “service provider” at any stage of the design process, Ellenberger can deliver the initial sketch, the full-scale model, right through to the final prototype. 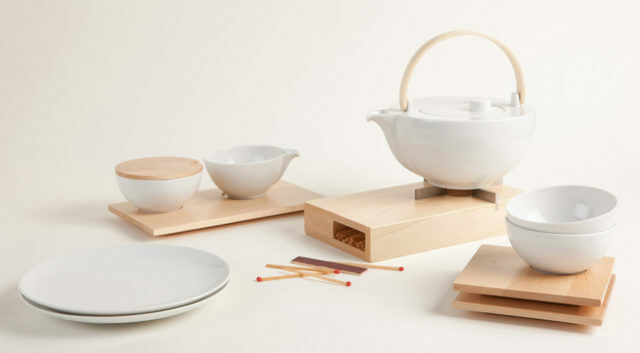 An advocate of long-standing partnerships, Ellenberger has previously developed products for companies including CB2 (USA), Sudbrock (DE), Prandina (I), Studio Lumess (CH) and the Friesland Porzellanfabrik for whom he created a stylish tea set using maple wood and delicate white porcelain. The tea set’s simplicity lends itself to a heart-warming ambiance, allowing the user to enter into a clearer mindset. With their pure and human aesthetic, the products in his Private Space Collection are built to last. Ellenberger explains eloquently how the collection sprang initially from the traditional notion of a washstand pitcher on a table, prompting his desire to “reclaim” the private space within a home and unite it. 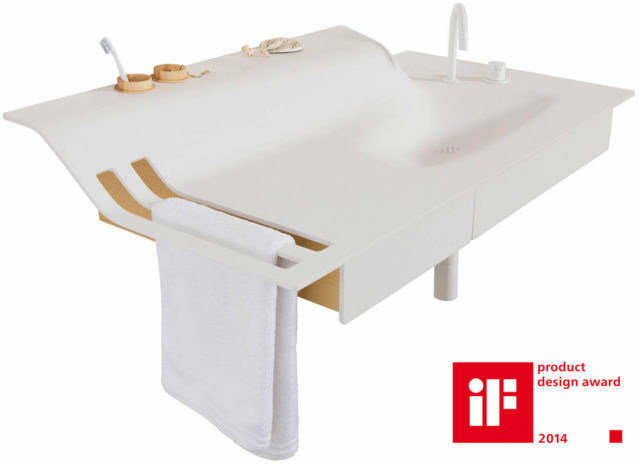 “Your bedroom and bathroom are two areas which are yours – they’re not shared with guests, so uniting them struck a chord with me.” After designing the freestanding table and basin, the collection expanded to include a bed and a bench before entering the market in early 2012. Since then, the collection is home to virtually all the staple items needed for your bedroom and bathroom, although it is by no means limited to these rooms as the sideboard is a brilliant addition to any lounge. 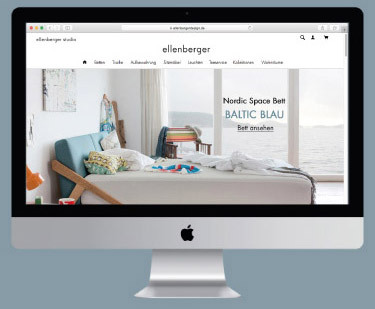 Currently, Ellenberger is working on a modular furniture system for children, which, after appearing last month at Cologne’s prominent KIDS UND JUGEND trade fair, was selected by the jury as a joint winner in the Future of Kids Design competition. 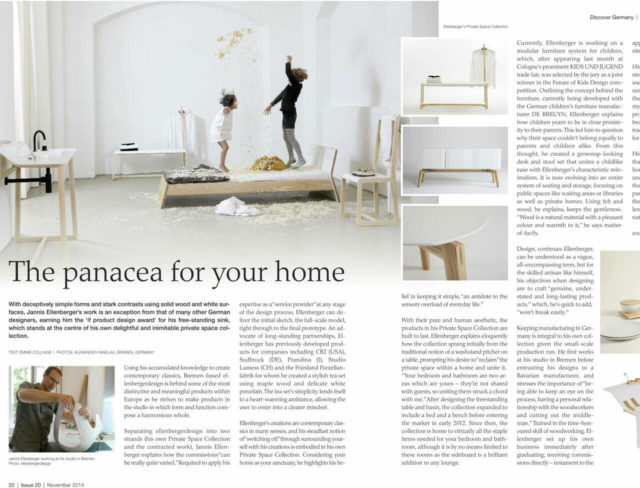 Outlining the concept behind the furniture, currently being developed with the German children’s furniture manufacturer DE BREUYN, Ellenberger explains how children yearn to be in close proximity to their parents. This led him to question why their space couldn’t belong equally to parents and children alike. From this thought, he created a grownup-looking desk and stool set that unites a childlike ease with Ellenberger’s characteristic minimalism. It is now evolving into an entire system of seating and storage, focusing on public spaces like waiting areas or libraries as well as private homes. Using felt and wood, he explains, keeps the gentleness. “Wood is a natural material with a pleasant colour and warmth to it,” he says matter-of-factly. 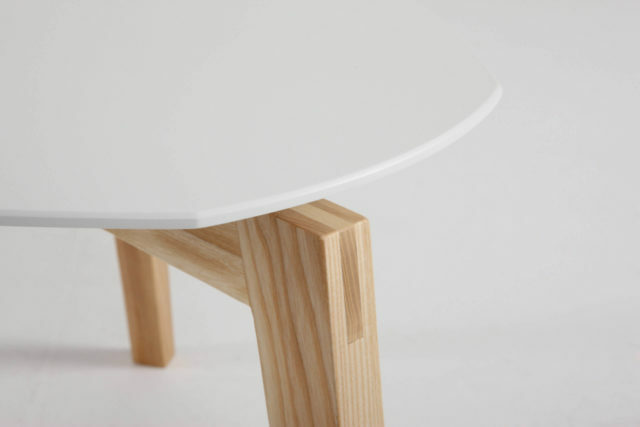 Design, continues Ellenberger, can be understood as a vague, all-encompassing term, but for the skilled artisan like himself, his objectives when designing are to craft “genuine, understated and long-lasting products,” which, he’s quick to add, “won’t break easily”. 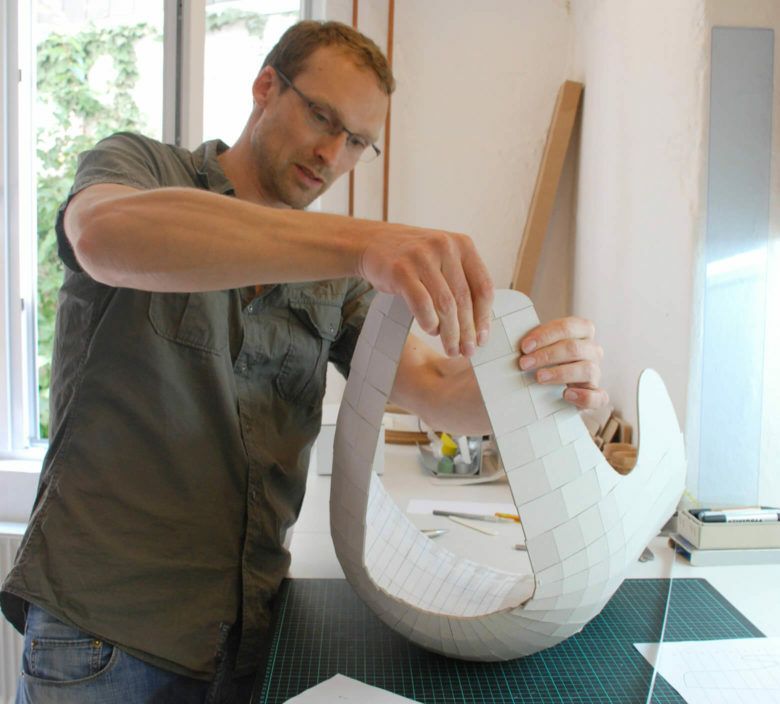 Keeping manufacturing in Germany is integral to his own collection given the small-scale production run. He first works at his studio in Bremen before entrusting his designs to a Bavarian manufacturer, and stresses the importance of “being able to keep an eye on the process, having a personal relationship with the woodworkers and cutting out the middle- man.” Trained in the time-honoured skill of woodworking, Ellenberger set up his own business immediately after graduating, receiving commissions directly – testament to the appeal of his wonderfully unassuming furniture. His thoughtful creations possess a quality that is often rare to find these days; they are home to a timelessness that can be seen in understated glory in the Intimo small desk, the TLD desk and the Drommen bed in particular. Alongside his own collection, their growing popularity proves just why ellenbergerdesign deserves yet more international acclaim.